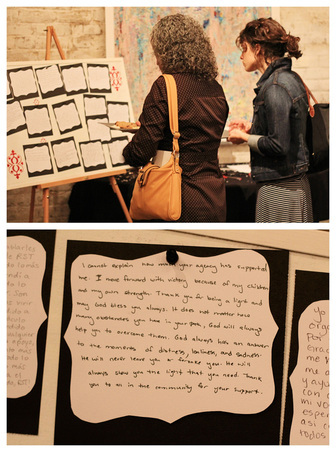 The RST Austin Survivors of Trafficking team worked in collaboration with several local groups to organize "An Evening to Honor Survivors: Reception and Art Silent Auction" on Friday, October 25th. The event, which promoted and generated resources for RST's SOT program, marked the end of a week-long campaign, called FREE Austin, to create awareness and end slavery in Austin. Scroll down to view some photos taken that evening.